But, INDOR is here to change that. 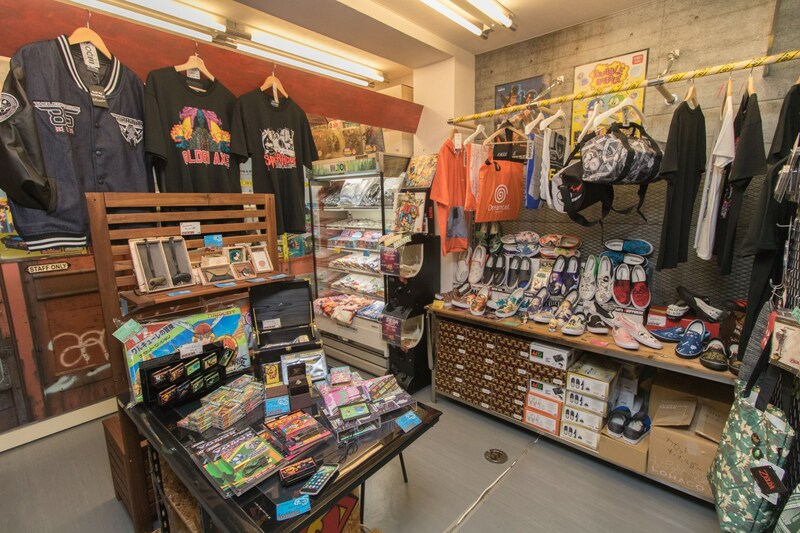 A cozy store minute away from Akihabara Station, INDOR specializes in clothing and fashion goods based on retro games, anime, and manga. 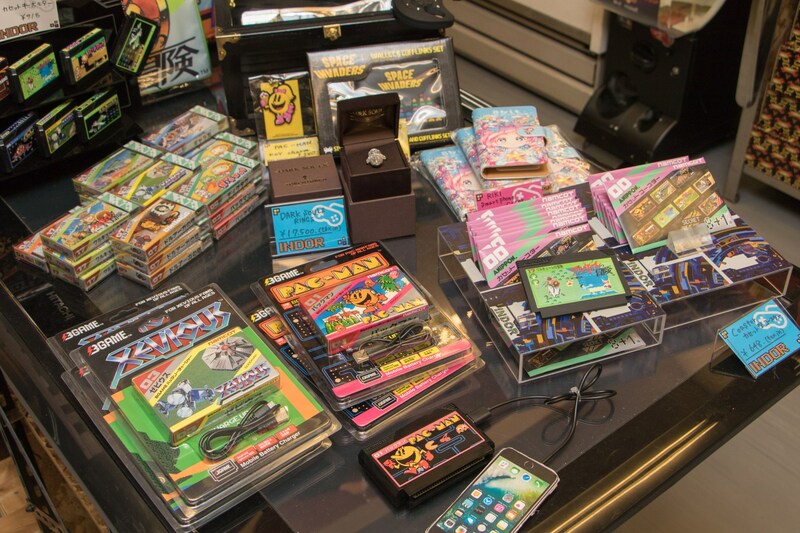 The store boasts that it is “made in Akihabara by Akihabara” and its wide selection manifests that. 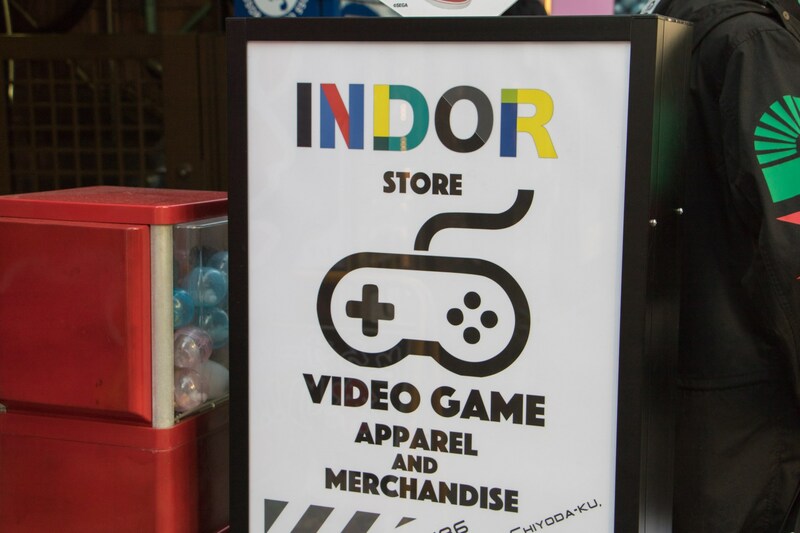 Curious to see what INDOR has to offer, the Around Akihabara team visited the store. 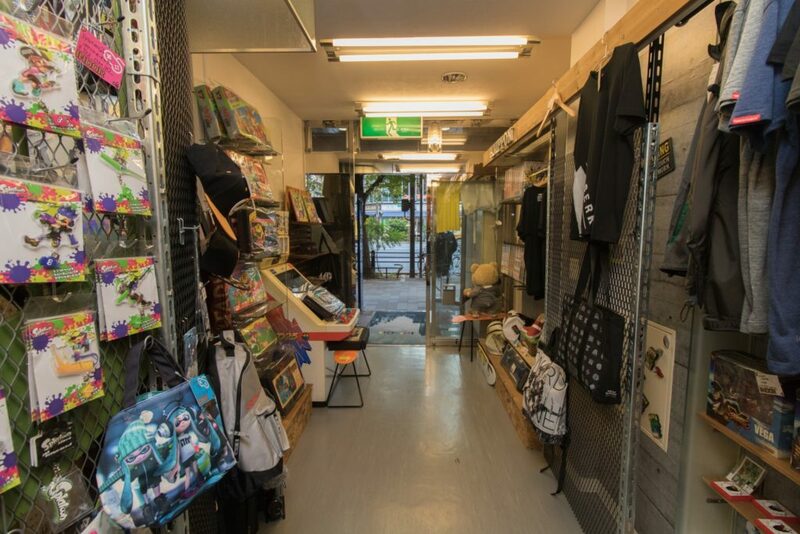 Don’t let the size of the store fool you, INDOR is jam-packed with unique clothes and products. Pumped about the latest Sonic game? 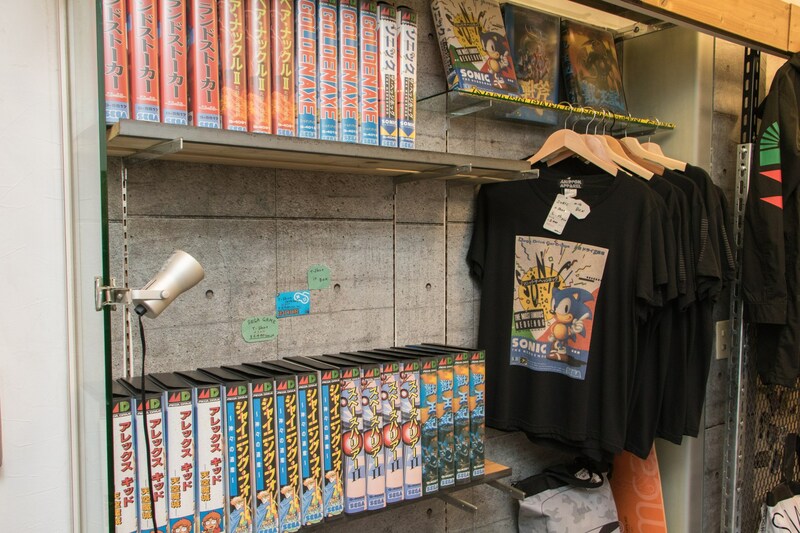 Show your love with specially designed Sonic the Hedgehog t-shirts. 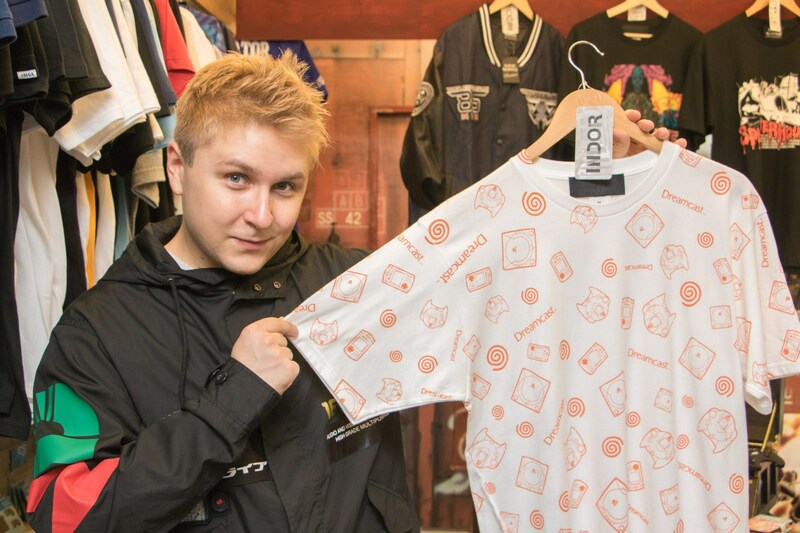 Each shirt come with a vintage-style box that can double as decor and storage. These cases look like a blast from the past, but they actually are for current technology. Gotta appreciate that old-school look. 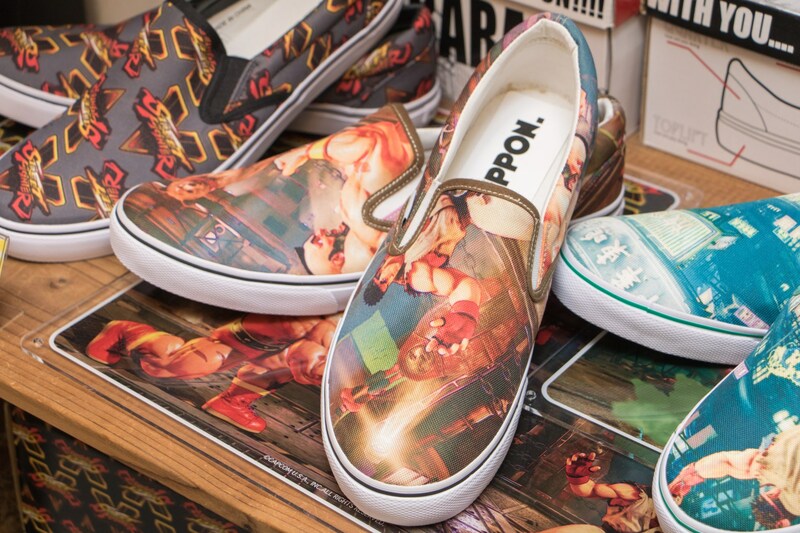 INDOR also has its own brand called ANIPPON that specializes in creating goods in collaboration with anime, manga, and games. Check out their official website for more information. 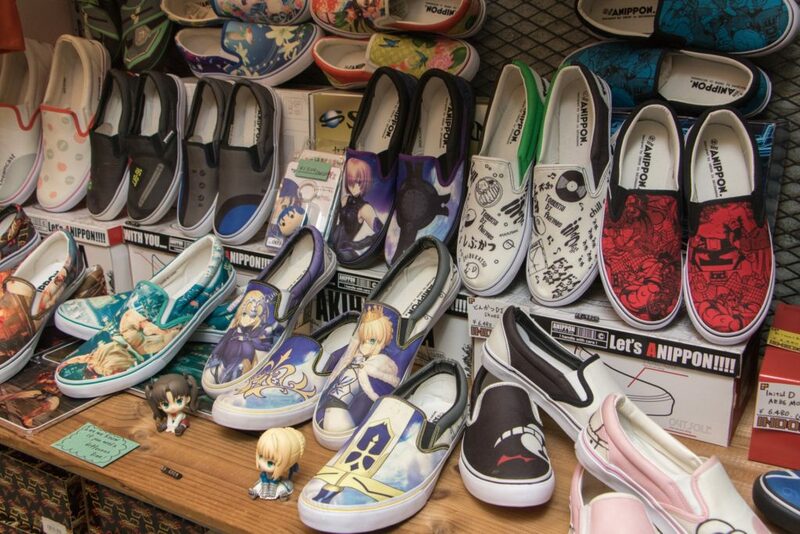 If you are a fan of the Fate series, you should take a look at these shoes. INDOR also has a line of bags. 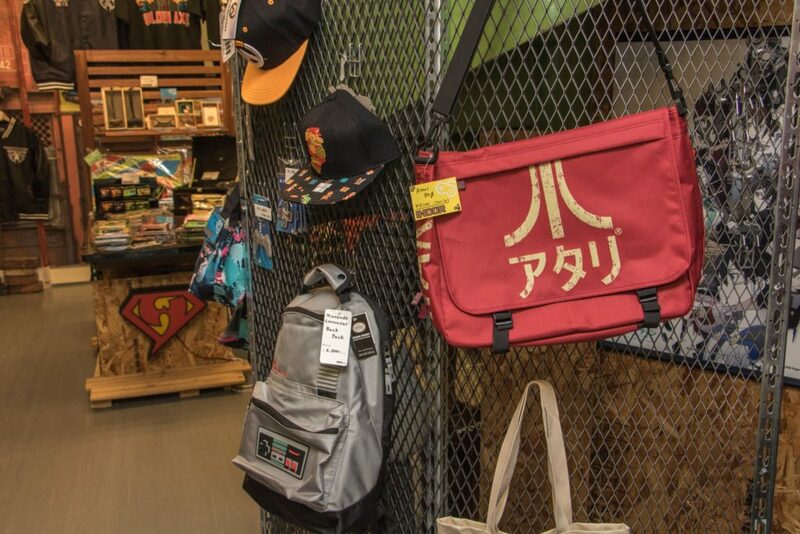 With sharp style, these bags are even appropriate outside of Akihabara. With T-shirts, shoes, bags, and much much more, INDOR Akihabara is here for you. 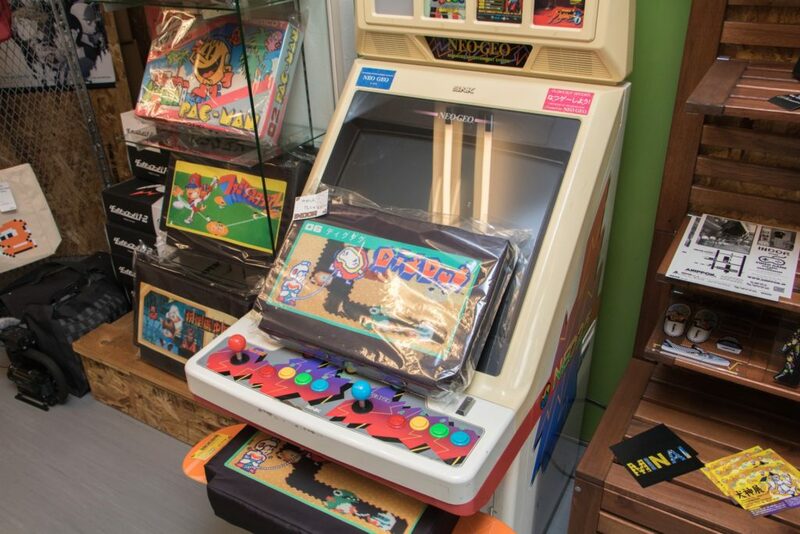 While not an arcade, this store certainly has its fair share of games.